Toast were asked by leading advertising agency mr.h to produce a short but powerful corporate communications film on behalf of the National Autistic Society. 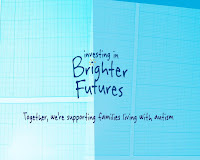 The video entitled 'Investing in Brighter Futures' is all about the great work that the NAS, in partnership with the Bankers Benevolent Fund, are providing to families from the banking community who are living with autism. The corporate video was produced with two clear objectives in mind. To introduce the NAS and the BBF partnership and how they have set up the 'Investing in Brighter Futures' programme to help provide long lasting support to families from the banking community. And secondly, the film acts as a stand alone piece of communication that will convey to families living with autism that there is a range of practical and emotional support on hand should they ever need it. The finished film is a touching expose that features revealing, candid interviews from parents who are bringing up autistic children and how they're lives have improved considerably thanks to the 'Investing in Brighter Futures' programme.